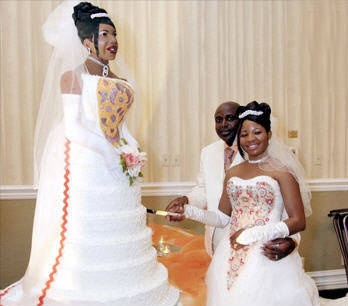 her dream came true when she had her wedding cake designed in her exact likeness. it's my lifelong dream, actually, to have a likeness of myself made in apple fritter dough from the greenbush bakery in madison, wisconsin. then i'd cover myself with goo, and eat myself with a tall glass of ice cold milk.